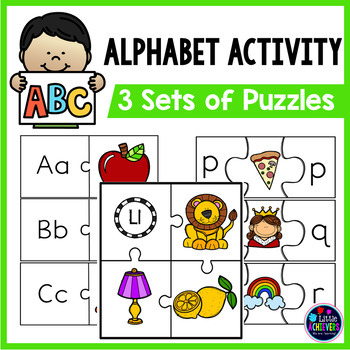 These alphabet puzzle cards are a fun and educational activity to help little ones identify letters and sounds. 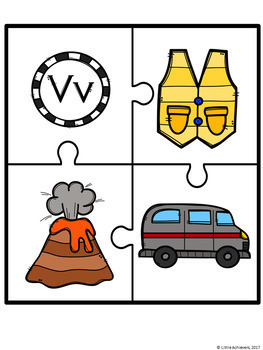 To set up and play the game, simply print, cut out the puzzles, and laminate. 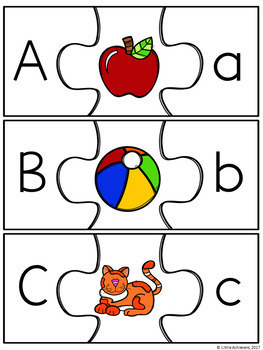 (A) 2-piece puzzle: Match each letter (both upper and lower case) with the correct picture. 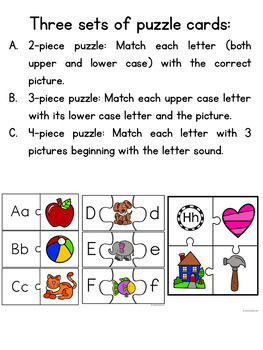 (B) 3-piece puzzle: Match each upper case letter with its lower case letter and the picture.